Yes! It’s here! The challenge 800+ bloggers (many of them writers) – and their hangers-on (sorry, followers) have been waiting for. It’s…. 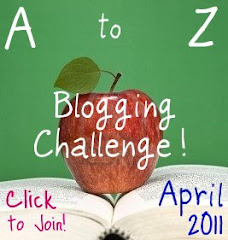 THE A TO Z BLOGGING CHALLENGE! DAY ONE. Brought to you by the letter – A. A (Wikipedia article) – an article all about the letter A. “the first letter and vowel in the basic modern Latin alphabet. It is similar to the Ancient Greek letter Alpha, from which it derives.” So now we know. Yep, that’s right, it’s a 5 min 46 sec video of photos that Noah Kalina has taken of himself, every day, between January 11, 2000 and July 31, 2006. Noah is a photographer from Brooklyn. To see the photos individually (perhaps a good idea, the video is quite fast and makes you feel seasick!) go here. He is still taking a picture, every day, of just his head and shoulders – boy, there’s a book in there somewhere! The first entry in this fascinating dictionary is abdabs: noun Terror, the frights, nerves. Often heard as the screaming abdabs. Also very ocassionally ‘habdabs’ [1940s]. 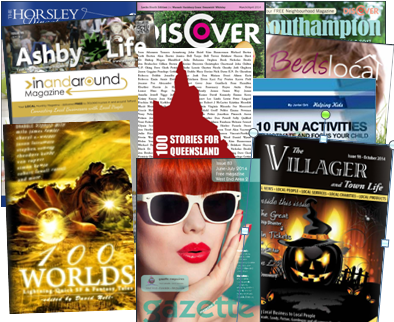 This site is well worth a visit – great stuff! a is an anchor tag in HTML. This is not interesting unless like me you like to walk on the wild side and play with your HTML. ‘Nuff said. This is a genuinely interesting article from 3 years ago about ‘A “plastic soup” of waste floating in the Pacific Ocean’. Back in Feb 2008, it covered ‘an area twice the size of the continental United States’. I’ll be looking this up later to see what’s happened to it since.